Visitors approaching the new Windermere Jetty Museum of Boats, Steam and Stories should see, hear and smell something magical out on the water. 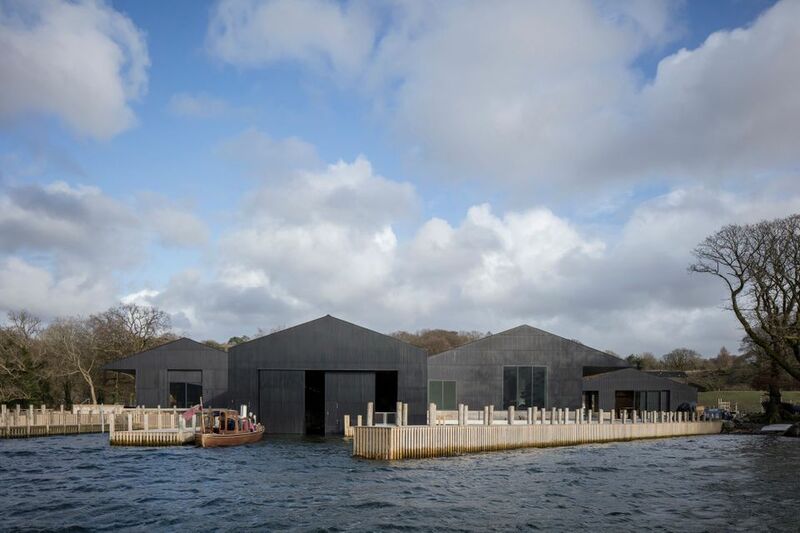 Just beyond the handsome but stark black sheds which house the museum’s collection, the conservation workshops and the café, they will find Osprey in full steam, an Edwardian launch as pretty as a piece of jewellery. Glitteringly restored by staff and volunteers over thousands of hours, Osprey is again ready to perform the job for which she was built in 1902, taking pleasure seekers out on Lake Windermere. Opening on 23 March, the buildings designed by Carmody Groarke are among the first modern structures in half a century on Windermere’s jealously guarded shore, in the absurdly picturesque Lake District scenery which has lured poets, artists and tourists for centuries. Stark from the land side, they open on to dazzling views, and house a unique collection including a scruffy little flat-bottomed boat in which Beatrix Potter went fishing and a stained-glass skylight once recycled as a greenhouse roof. It is all that remains of Britannia, in 1879 the most luxurious private steamboat ever built for the lake. Some of the boats will stay indoors, such as beautiful Branksome (1896)—almost as luxurious as Britannia, with her own silver tea service and velvet upholstered benches. Dolly (1850), rescued from the depths 65 years after she sank when the lake froze over in 1895 and believed the oldest of her kind in the world, will be fully restored but will never sail again. 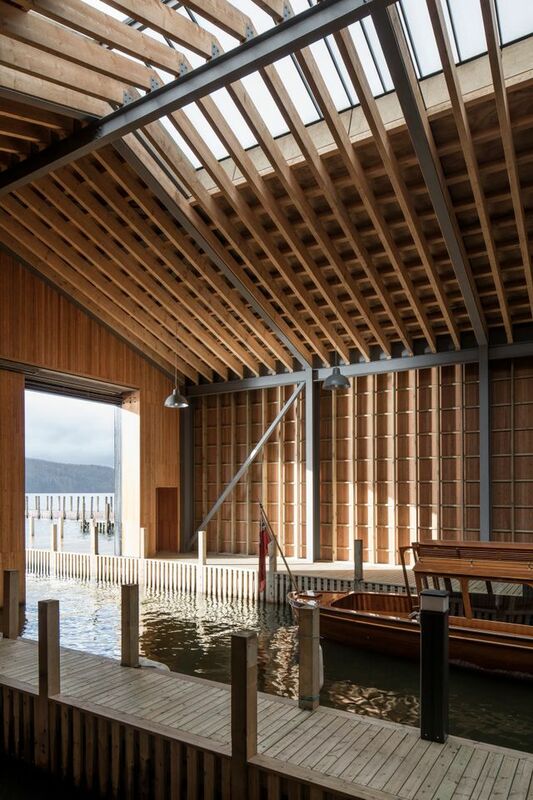 But the museum’s beating heart is the wet dock from where historic vessels, restored by skilled boat builders in the workshop, can be sailed on to the lake. The £20m museum, supported by more than £13m from the Heritage Lottery Fund, is the newest and most ambitious member of the Lakeland Arts family of institutions, joining Abbot Hall, a grade I listed Georgian mansion in Kendal rescued from dereliction in the 1960s as an art gallery, and Blackwell, a lakeside Arts and Crafts house designed by MH Baillie Scott as a holiday home for a Manchester brewer. The charitable trust took on the collection in 2007 after the closure of the original Windermere Steamboat Museum, founded in 1977 by the boating enthusiast George Pattinson on his family’s gravel wharf and inaugurated by the Duke of Edinburgh, who sailed into the ceremony on Branksome. The project has taken years longer and cost twice the first estimate, as construction was delayed by storms and floods; the new buildings sit on a concrete plinth a metre above the old site. 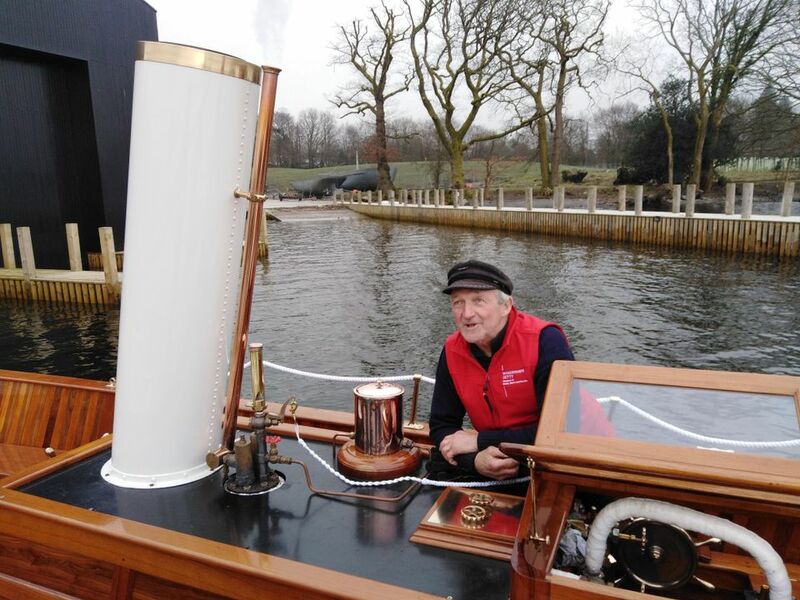 John Eaton, a 71-year-old ship engineer and draftsman, was one of the volunteers who dug out boats from under the old collapsing sheds in 2007, and having attempted twice to retire is now proudly skippering Osprey, which he helped rebuild.